GNOME( GNU Network Object Model Enviroment), as part of GNU Project, is a desktop enviroment and graphical user interface runs on top of an operating system which is especially Unix-like systems. 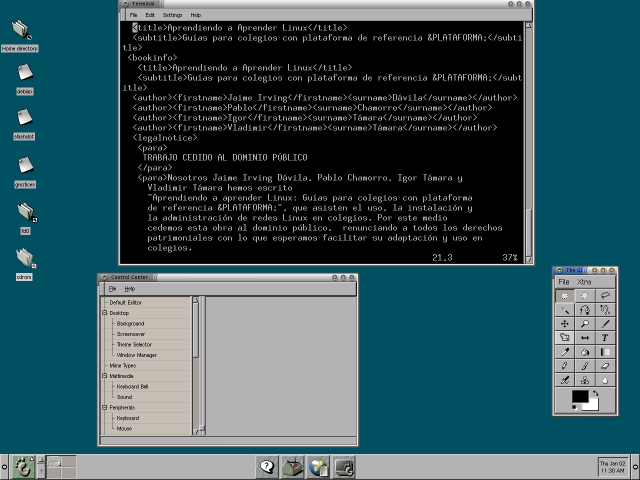 The Project includes creating development frameworks, selecting application sofware for the desktop, and working on the programs that manage application launching, file handling, and window and task management.GNOME was started in August 1997 by Miguel de Icaza and Federico Mena as a free software project to develop a desktop environment andapplications for it. It was founded in part because KDE, an already existing free software desktop environment, relied on the Qt widget toolkit which at the time used a proprietary software license. GNOME itself is licensed under the LGPL for its libraries, and the GNU General Public License(GPL) for its applications. GNOME 2 (the previous major release) was very similar to a conventional desktop interface, featuring a simple desktop in which users could interact with virtual objects, such as windows, icons, and files. GNOME 2 used Metacity as its default window manager. The handling of windows, applications, and files in GNOME 2 is similar to that of contemporary desktop operating systems. In the default configuration of GNOME 2, the desktop has a launcher menu for quick access to installed programs and file locations; open windows may be accessed by a taskbar along the bottom of the screen, and the top-right corner features a notification area for programs to display notices while running in the background. However, these features can be moved to almost any position or orientation the user desires, replaced with other functions or removed altogether. GNOME 3.0 was released on April 6, 2011.It was announced at the July 2008 GUADEC conference in Istanbul. The code name ToPaZ (standing for Three Point Zero) was introduced around 2005 and for a long time was only a playground for vague ideas. Quite a few mock-ups were created as part of several ToPaZ brainstorming processes. GNOME Shell is the core user interface of the GNOME desktop environment starting with version 3. It provides basic functionality like switching between windows and launching applications. 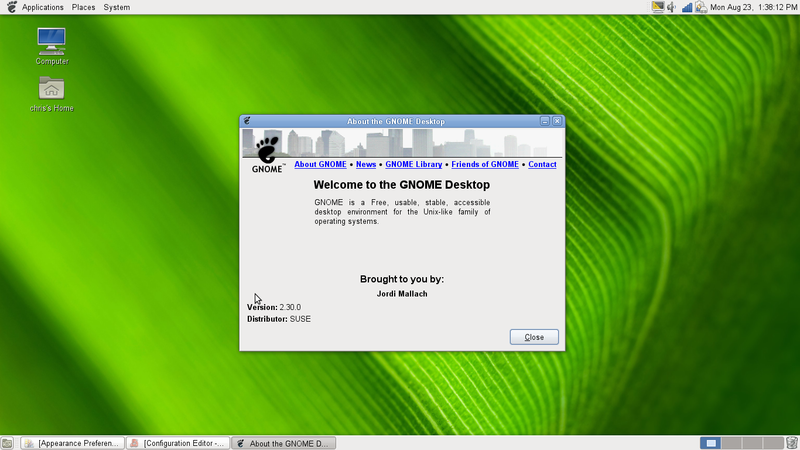 It replaces GNOME Panel and other software components from GNOME 2 to offer a user experience that breaks from the previous model ofdesktop metaphor, used in earlier versions of GNOME. Freedom — to create a desktop environment with readily-available source code for re-use under a free software license. Accessibility — to ensure the desktop can be used by anyone, regardless of technical skill or physical circumstances. Internationalization and localization — to make the desktop available in many languages. At the moment, GNOME is being translated to 175 languages. Developer-friendliness — to ensure ease of writing software that integrates smoothly with the desktop, and allow developers a free choice of programming language. Organization — to adhere to a regular release cycle and maintain a disciplined community structure. Support — to ensure backing from other institutions beyond the GNOME community. ← Jailbreaking Is A Right!